Fun images of a family playing a game together on vacation. When we go on our ski vacation … we don’t just ski! We take off a few days and just play games — all day long! 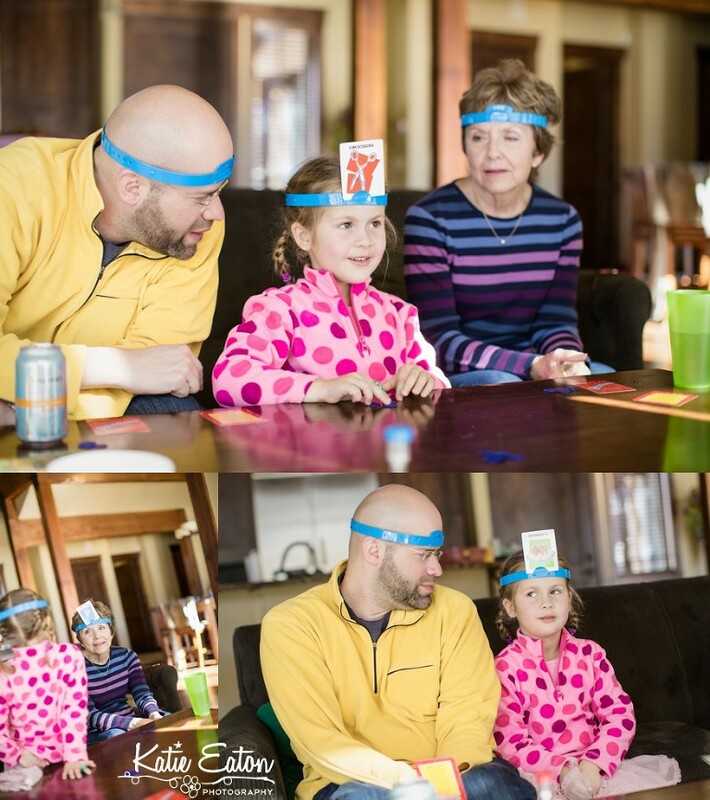 When the kids are up, we play silly games like this one — Headbandz. Ever played it? If you have a five to eight year old, I think it’s a must-have-in-your-game-closet. It’s quite silly but Sabrina loves it. When the kids are sleeping we play Sequence and Euchre and we added in a new game this year — Settlers of Catan. All awesome games and so much fun to play together as a family.